Satisfied customers are less likely to consider doing business with your competitors. They look forward to working with you. Customers who have one bad experience with a business are unlikely to give that business a second chance and will almost always seek an alternative source for needed goods or services. Anytime you fail to meet a customer’s expectations of quality products or services, you risk losing their current and future business to a competitor. People like to recommend something they like and will use social media to share information about businesses that provide exceptional service. However, they are more likely to talk about a bad experience. Customer satisfaction surveys are the best way to gain vital insight about your business and your customers. Customer satisfaction is often based on small details that are easy for you and your employees to overlook. It is difficult for you to understand the customer’s perspective of doing business with your company. Aspects of your industry that are common knowledge to you may be difficult for customers to understand. The best satisfaction surveys reveal information about what the customer’s future plans are, and generate leads for referrals. Consumers have more options today than ever before. Customer satisfaction surveys can help businesses of any size keep and gain customers by providing information on what appeals to customers. If you are not getting the word-of-mouth results you expect, a professional analysis of survey results can reveal what changes will get you results. Surveys only work if you use the information provided to make positive changes. 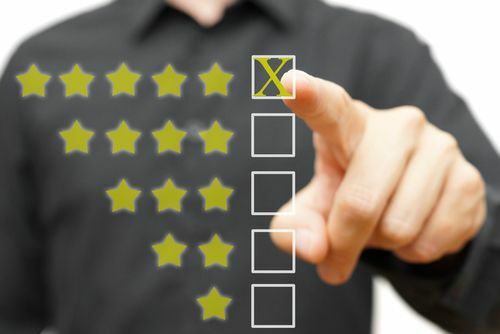 Properly designed customer satisfaction surveys are vital to keeping current customers loyal, motivating existing customers to refer your business to others, and attracting new customers to your business. You get the most effective results with a properly designed survey and by consulting with customer retention specialists on the results.